Why do stars shine? And how was the moon made? 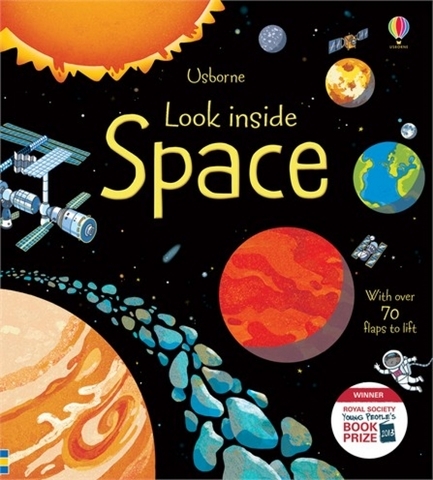 Children can blast off into space with this fantastic interactive flap book revealing the secrets of the Universe. Vibrant illustrations and simple explanations combined with over 70 flaps to lift. Each double page covers a different topic, including ‘Glittering galaxies’, ‘On the Moon’ and ‘Space Station’.